Facelifed model adds new GT Line trim level. 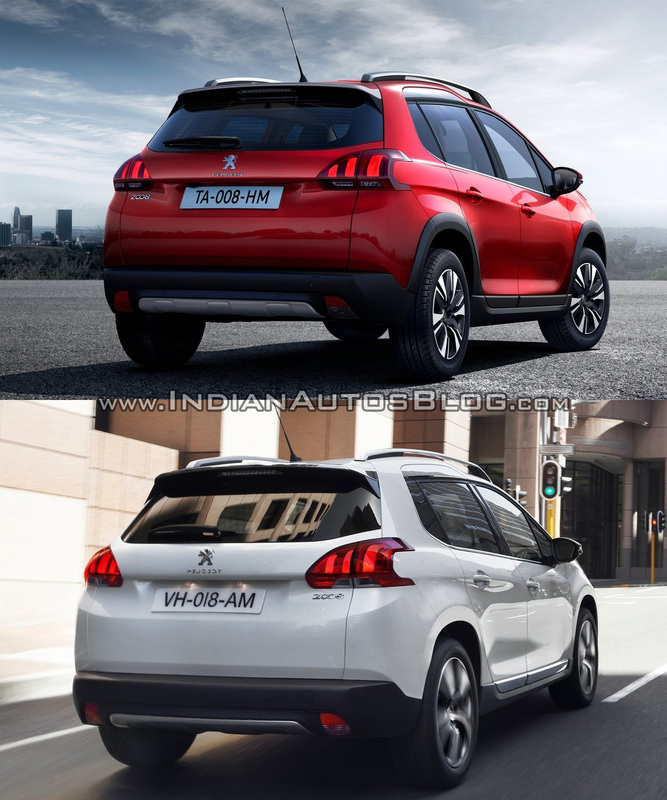 The Peugeot 2008 has been given a facelift, and will have its public premiere at the 2016 Geneva Motor Show. On the outside, the new model gains new vertical front grille, new front and rear scuff plates, wider wheel arches and tweaked headlamps and taillamps. The newly added GT Line level features new 17-inch Eridan gloss black alloy wheels. Gloss black treatment is give to the grille surround, foglight covers, mirror casings and roof bars as well. The headlight clusters have been updated with the facelift. Inside, the cabin has been updated to offer more storage space. The front door storage boxes, glove box, box and cup holder beside the gear stick, covered console storage, seatback pockets in the back of the front seats, etc. all together offer 24 litres of storage space. New technologies include Apple CarPlay and MirrorLink for smartphone integration, Active City Brake (autonomous emergency braking) and Park Assist (autonomous parking). The boot space with rear seats up has been increased from 350 litres to 410 litres, while the total boot space (with rear seats folded) has been increased from 1,194 litres to 1,400 litres. The taillamp graphics have been slightly tweaked. The GT Line features stainless steel sills with the PEUGEOT logo; aluminium pedals and red-stitch edged floor mats; and red stitching on the seats, door armrests, gear stick surround, handbrake lever and steering wheel. 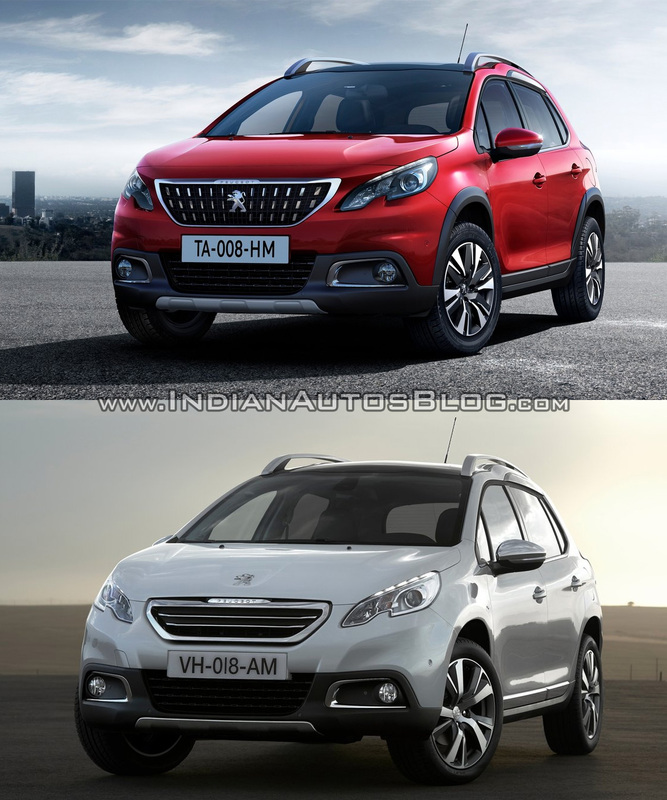 The 2016 Peugeot 2008 will be available with five petrol and six engine configurations. The engine choices remain unchanged, but there's a 6-speed EAT6 automatic gearbox also available now.